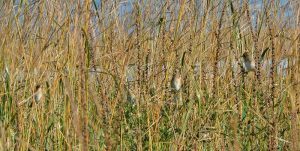 Today (30 September 2016) a group of us encountered 12 Nelson’s Sparrows during a walk along the shoreline of Westmeath Provincial Park. 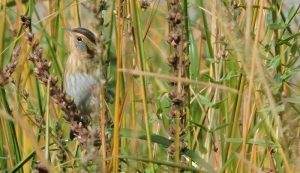 We discovered a group of 8 birds and then a group of 4 some further 400 m (approx) further along (NE) the shoreline. 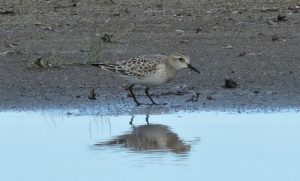 We also observed a juvenile American Golden-Plover and a juvenile Baird’s Sandpiper. 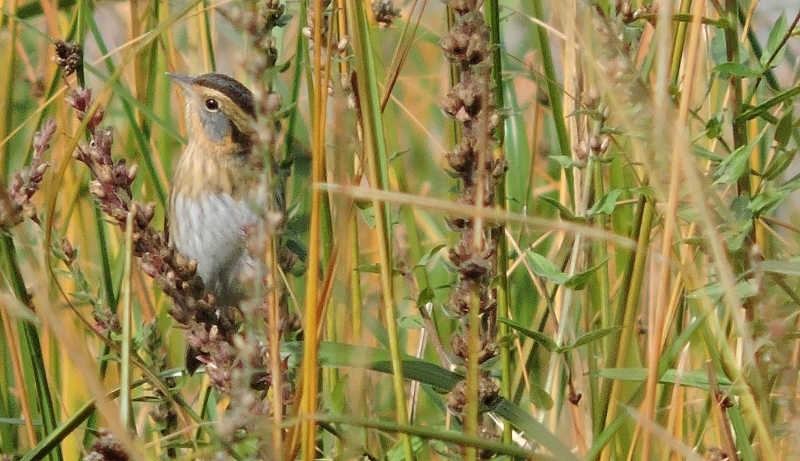 Photo: We had good luck with this species today, with many excellent views. 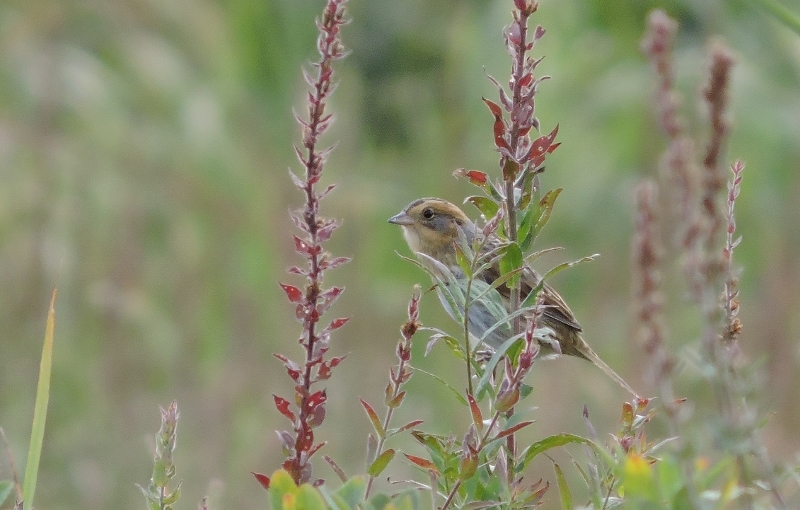 The Nelson’s were found exclusively in stands of taller sedges/grasses where loosestrife (I believe that’s what this Nelson’s is perched on?) was also present. These prime areas were approached quietly and after a short, while standing in silence, a period of pishing-pause-pishing-pause was employed. At this point, expect your heart to race as the loosestrife begins to wiggle 😉. No further pishing was required. The birds became curious and eventually made their way up from the thick stuff to have a look around. 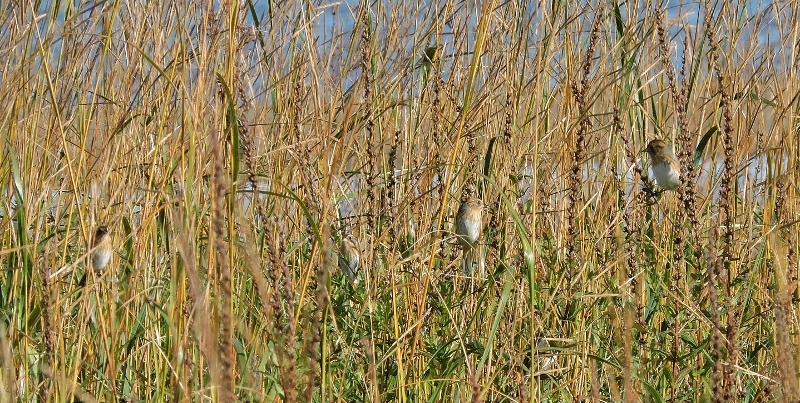 Photo: A group of 5 Nelson’s Sparrows (5 of 8). 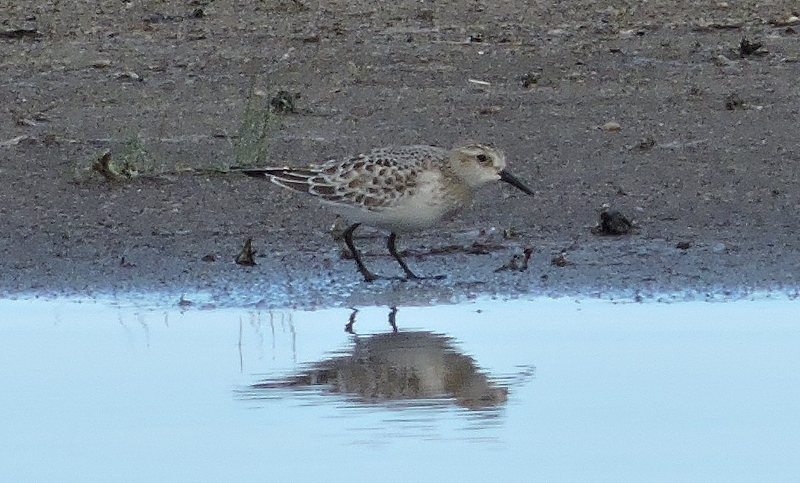 Photo: This juvenile Baird’s Sandpiper was hanging out with Dunlin (6) and Black-bellied Plovers (13) this morning.